TAP Las Vegas pool league has been locally owned and operated since 2002. The league was originally formed and owned by Beck and Shelia Becker in 2006. 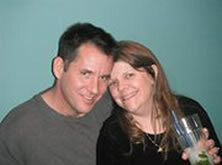 In 2006, they sold the league to Sandra F.
Jeff & Cindy Chappell (pictured on the right) purchased and locally operated the league from 2007 through 2017. Scott and Tina Moden (pictured on the left) purchased the league in January 2017 after Jeff and Cindy retired from the league business due to medical reasons. 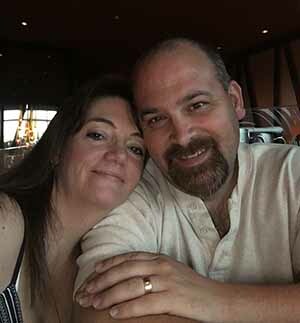 Scott and Tina have played in TAP for many years and have 20 years experience playing in many of the other local leagues. With a strong passion for pool and the community, TAP continues to grow and be the best this community has to offer! We offer weekly 8-ball, 9-ball and 10-ball and are a part of TAP League, providing pool leagues all over the United States and Canada. TAP was founded by Loyd Schonter in 1989! TAP started in Las Vegas in 2002 and has been rewarding players ever since. In 2007, the league started with just 18 teams and "TAP Las Vegas" was born. The league tripled in size within just a little over 2 years. Someone once said, "just run an honest league and you will grow and succeed." He was absolutely correct. With 25 years of experience in pool leagues and tournaments, a dedication to its success and a passion for the sport, it has been and is our mission to make this league the best in and around the Las Vegas valley. We promote integrity in competition and encourage growth in the sport. In 2008, the Advisory Board was formed to expand our communication efforts with members of the league. Click here to read more about our Board. Our league averages 60 teams a session and our ratio of player awards is higher than any other city-wide league in Vegas. We have awarded over a $250,000 and continue to award more than $60,000 every year!! TAP league provides a fun and inexpensive night out! We deliver and pick up your league packets to the location where you are playing each week! TAP the APP was introduced in January 2017 providing players with an application for scoring on Android, iPad and iPhone devices. At the end of every session, we host Rally in the Vegas Valley, aka Rallies, aka Spring Rally, Summer Rally and Fall Rally. These are league-wide parties typically held at Pool Sharks. We distribute trophies and cash, draw a player to win a McDermott cue, have a pot luck at most and money-added tournaments for every skill level. All teams are awarded cash in TAP!! If you win 1st place, you earned and win 1st place trophy, cash and a place in the Vegas Masters!! There are NO playoffs. Trophies are awarded to 1st place and to 2nd in the larger divisions. Beautiful custom plaques are awarded to our Most Valuable Players with a paid entry into the Vegas Masters and a chance to advance to Nationals! We have the most accurate handicap system available, PoolNet. Handicaps are based on a players overall ability and not just wins and losses. Although the scoring seems complex at first, it quickly becomes second nature. It is through this scoring that players are so accurately rated on a nationwide and local basis. Simple scoring that bases handicaps on wins and losses may give an accurate rating from a local single division standpoint. However, due to the multitude of playing levels across the nation or even locally between divisions, this would never give players a fair chance to compete at a national or even at a league-wide level. The Scout Module in PoolNet offers players the ability to view their personal statistical history showing how well they compete against players of every skill level, just 2's, 3's, 4's, 5's, 6's or 7's in any timeframe set. Who's the Best in PoolNet allows players to see who has the most break and runs, most 8-ball breaks, best match win percentage and highest handicap. 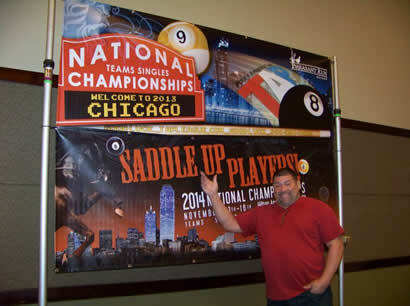 The annual Vegas Masters State Championship & National Qualifier tournament series for 8-ball and 9-ball. These are the State Championship tournaments that take you forward to compete at Nationals. Over $12,000 in cash and prizes are awarded. Our 8-ball team tournament is the largest locals only tournament in Vegas with over 150 players competing for their place in Nationals. 1 in every 15-20 teams advances to Nationals. A full prize package includes airfare, hotel rooms for 4 nights, entry fee, a team trophy to sport and the players are invited to the TAP Welcome Party on the first night. We spend the National fund on you.....it doesn't go in our pocket! In 2010 & 2011, because Nationals was at Bally's, we sent and are sending the 1st place team to Pennsylvania to compete at Rally in the Valley! We go places and want to take you with us! Nationals travels. Teams that go to Nationals are not only getting to compete in the tournament, they are getting a great vacation! We've sent teams to Myrtle Beach, South Carolina in 2007, Orlando, Florida in 2008, Charleston, South Carolina in 2009, Vegas in 2010 & 2011. Every March, players have the opportunity to travel to Pennsylvania to compete in Rally at Edison (aka Rally in the Valley). We always go and invite anyone and everyone to join us. We host monthly or semi-monthly singles money-added tournaments to give players the opportunity to compete and socialize with friends on a Saturday or Sunday. Rosters, schedules and handicaps are always available on-line in PoolNet. We pride ourselves in providing accurate and timely information. FREE advertising for your business. We provide advertising under our "Family Businesses" web page where other players can take advantage of the great discounts these players are willing to give our members. TAP League has no minimum age requirement, so we offer the opportunity for families to form or join teams. We also provide monthly junior tournaments for ALL kids in our community ages 20 and under. Click here to read more. Click here to view the schedule and/or to sign up. The following article was written to tell players and room owners all about TAP League. TAP LLC, also known as TAP League, is proud to have celebrated 20 years in billiards in 2009. Loyd Schonter, founder of TAP and current president was the first member (“01”) in 1989. The league has since expanded like wildfire across the United States and into Canada. TAP was established in Las Vegas in 2002 and is now known as TAP Las Vegas, which is owned and operated by my husband, Jeff Chappell and I. This article is to provide you with an overview of what TAP League is all about. I’ve provided you with many links so you can further explore the details of our superior league and the incredible opportunities we have to offer pool players and room owners. TAP League offers 8-ball, 9-ball and 10-ball. 10-Ball was added in 2011 along with Scotch Doubles. These formats will be added to Nationals in 2012. Pool teams are made up of 5 to 8 players with a maximum team handicap of 25. This is to provide players of all skill level the opportunity to compete and have fun! We have many couples, co-workers, family members and just groups of friends who love playing pool and are also out to socialize and meet new people. Our format also provides coaching for all levels of players. Players can choose their coach and work towards improving their game while having fun! TAP pool leagues provide an inexpensive social outlet for players of all ages and skill levels. Annual membership is only $20.00 and weekly league play is $10.00 a week. In appreciation for the player’s patronage, room owners provide a free round of drinks for the team, aka, “team round.” Tables are opened for players from about 6:30 PM until the end of league play. 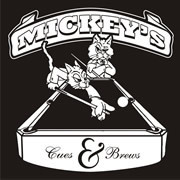 Room owners may provide the team with shirts to advertise their bar, offer additional free play time, food and/or drink specials and additional awards for player’s performance, such as sinking the 8-ball on the break and winning the game! TAP League is a technology driven company offering players PoolNet for accurate real-time statistics and finely calculated handicaps. This system is very unique and used as a standard across the league. The handicaps (2 through 7) are based on a complex weighted average taken from the data entered from the weekly score sheets, which serves to accurately reflect a player’s overall playing ability. As soon as this data is entered, both individual and team statistics are immediately available on line at www.poolnetstatistics.com. There is no need to wait until league night to see how your team or you as an individual are performing. This standard provides an equal playing field for players locally and across the country, as handicaps are 100% statistically based. Click here to read more and connect to actual statistics. TAP League offers many opportunities to compete against players and teams from all over the United States and Canada by hosting National team and individual 8 and 9-ball tournaments every November. Players of all skill levels compete in both National and mini-tournaments over the course of 4 days on state-of-the-art Diamond tables. Nationals is a roaming event offering players the opportunity to travel to a new and exciting location every year, with negotiated discounted pricing for our players’ hotel stay, car rental, restaurants, and other activities near the tournament location. In addition to the obvious pool playing bliss, this event offers a great opportunity for an inexpensive vacation for TAP members! We’ve gone every year since we started with TAP and everyone has loved the event! As I like to say, “We’re going places and want to take you with us!” We will be awarding 2 teams and 2 individuals a trip to Nationals to compete in 2009! Every March, we recently traveled to Pennsylvania to participate in the Rally at Edison (aka Rally in the Valley) tournament, which was very exciting. Also known as the “Dream Team” event, players can hand pick the best of the best to compete in 8-ball on ALL Diamond tables. This event consistently draws an average of 150 teams. This event is typically covered in depth by Inside Pool and TAP League sponsored live streaming of the Diamond Open 10-Ball Professional Players Championship at the Super Billiards Expo in Edison, New Jersey. Click here to see video interviews provided by Inside Pool. Highlighted interviews are with Loyd Schonter and Brittany Bryant, a 17 year old player from Canada who credits TAP for her success. She actually started playing pool in TAP and now competes on the professional sector. Locally, TAP Leagues offer several different tournament opportunities. Here in Las Vegas, we offer the Vegas Masters and other smaller open tournaments. Qualified teams and individuals compete against the best of the best in the Vegas Masters to win a trip to Nationals. A weekly FREE TAP tournament is held every Saturday at the Gin Mill located at Windmill and Pecos in Henderson. TAP also hosts the Rally events, a party at the end of every session and offer skill level tournaments to players with added prize money. For the room owner, we offer the opportunity to have customers in your location every week. Everyone likes a busy bar. Our exciting league and events puts cars in your parking lot and butts in the seats. We take care of scheduling, organization and player awards at absolutely no charge. We offer the room owner FREE advertising on our web site where we get over 1,200 visitors every month. This includes the name of the establishment, address, phone number and an interactive map that shows the potential customer where to find your location. We also do a link exchange, so if you have a web site, we will link to it as well. If you are already playing or hosting teams, we thank you for your participation and if you are not, we invite you to join us. To learn more about TAP Las Vegas, please call the league office at 702-558-POOL (7665).